Here it is… your one stop shop for all the information you could possibly need about wedding photographers. All your questions answered in one article! This is the second article in a series aimed at helping couples to find the right wedding photographer for them. If you came here hoping to understand wedding photography pricing you should take a look at Wedding Photography Pricing Explained which goes into way more detail on that subject. Though I am a wedding photographer myself, I have written this with my unbiased hat on. I know I’m not the right photographer for everyone and that’s fine. In researching this article I scoured Facebook, Google, Twitter… anywhere people are likely to be asking questions about wedding photographers. People really want to know why we wear black, apparently. The mission: to provide a resource to help all those looking to find, book and/or understand a wedding photographer. Keep in mind I am based in the UK so my answers are likely to be UK oriented. That doesn’t mean they don’t apply around the world, it’s just that there may be customs or quirks elsewhere that I don’t know about or understand myself. Anyway, that was a really boring intro, I’ll try to make the rest more interesting. Let’s start with those top four Google questions above. Again I’m going to send you off to my other article Wedding Photography Pricing Explained for this one, no point going over it all again here because it is not a simple answer. 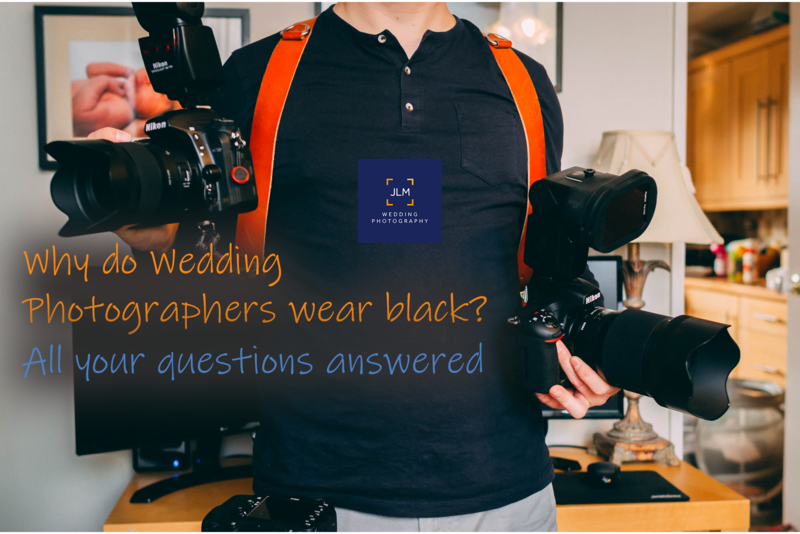 Why do wedding photographers wear black? Starting with an odd one for me because I actually wear blue. I feel like the question really should be: What should wedding photographers wear? This is a matter of opinion and not everyone will agree with me. In my opinion the wedding photographer should dress as a guest, albeit with a few minor alterations to allow for comfort since they will be working, walking, crouching, standing and contorting their bodies throughout the day. Personally I wear the trousers and waistcoat from a three piece suit. I tend to leave the jacket in the car unless it is a particularly cold day as I find it gets in the way of my straps. I do wear comfy shoes but they still fit the style of the suit. The look is completed with a fresh pressed white shirt, tie and tan leather camera straps to match my belt and shoes. To answer the question more directly, black is an obvious choice because it is generally smart and discrete. Waiting staff often wear black when tending to a function so as to not draw too much attention to themselves; photographers have that same idea. Maybe this is a question you should ask your photographer beforehand. So long as you are OK with what they intend to wear then you won’t have a problem. Why do wedding photographers own the copyright? You commissioned the photographer to take your photos, surely you now own those photos? Not really, no. But that doesn’t actually matter too much. When a photographer takes a photo they own the copyright. When they deliver the photos to you they grant you the right to print and share those photos, which is most likely all you will ever want to do with them. The copyright comes into play when a publication or organisation wants to use one of those images for commercial purposes. Such as in a magazine or advertisement. In those circumstances the organisation needs the permission of the photographer before they can use those photos. 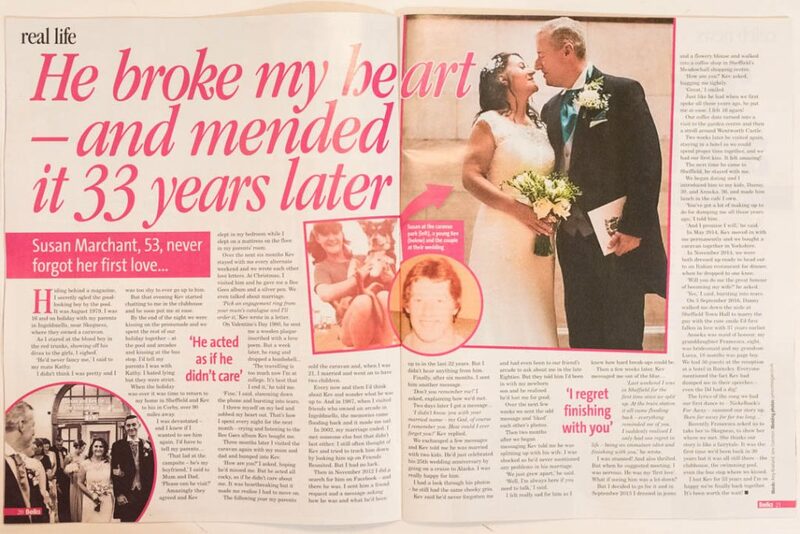 This happened to me in 2016 when Bella Magazine wanted to feature the story from a wedding I had photographed. You can see that full story on my blog. Basically the couple were paid for their story, I was paid and credited for the photos. Everyone’s a winner. Why do wedding photographers need insurance? There are a few different types of insurance that we wedding photographer need to have. One is for our gear, in case it is damaged or stolen. We also carry Public Liability Insurance which covers us for damage that we may unintentionally cause whilst carrying out our duties. Many venues require photographer to have PLI before they will let us work on their premises. Finally there is Professional Indemnity Insurance which covers us for the legal costs of defending any legal action taken against us should a client feel we have not carried out our duties to the best of our abilities. I have been lucky enough so far to not have to call upon any of my insurance policies. In short, we arrange insurance to protect the financial interests of ourselves, our clients and our partners. Pretty much the same reason anyone takes out insurance I guess. Ok, that’s an interesting question. Why do wedding photographers have huge lenses? He he…. sorry, grow up James! We carry the tools we need to do the job properly. Different wedding photographers use different lenses. I guess as a rule of thumb, the longer the lens protrudes the further it is able to zoom in on a subject. So for those who like to stand at a distance and be able to pick out details from across the room, long lenses are ideal. I prefer a more personal approach to wedding photography so my lenses tend to be a little shorter than others. Of course it isn’t the size that counts. If you are interested in the gear that I carry I have written a full breakdown, have a look at My Wedding Photography Gear blog post. In my time on Facebook groups I see a lot of people asking a few typical questions about wedding photographers. I have paraphrased a few of the most common. Should I feed the wedding photographer? For some reason this gets people’s blood boiling, even though I think everyone actually agrees on the answer. Basically, it’s up to you. If you want your photographer sat with your guests at the dinner table then suggest it to them, if they don’t mind then great, sorted. Perhaps you don’t mind getting them a meal but would prefer they not sit with your guests. That’s fine too, let the venue staff know that is what you would like to do and they will find somewhere else to sit the photographer during your meal. If you think your photographer is already being paid plenty for doing the job and they should buy their own dinner then that’s fine too. It would be a good idea to discuss this with the photographer and the venue in advance to make sure the venue is capable of preparing the photographer’s meal independently of catering for a wedding. Some can, some cannot. If they can’t then make sure the photographer knows that they will need to make their own provision. Some photographers have a clause in their contract that they must have dinner provided for them. Personally I think that’s bad practice and makes them sound a little self-important, but if your photographer has such a clause then I guess you’d best do what they say. As you can probably tell, I do not have such a clause in my contract. I will, however, steal sweeties from the candy cart if you have one. My personal preference is to eat away from guests in a bar type area. I use the time alone to review the morning’s photos on my laptop and pull together a short highlights slideshow which I then display for evening guests to see. When is the best time to look at booking a wedding photographer? As soon as you have a date. Photographers can only be at one wedding on any given date. If you leave it too long then many will be already booked on your date and your options will be limited. There is a chance that you’ll be able to grab a bargain by picking up a photographer last minute and negotiating a discount. Of course this is a risky strategy given that you’ll have far fewer photographers to choose from, so you should consider whether price or choice is your primary concern. Should my wedding photographer provide me with a contract? If they don’t provide you with a contract, run away, really fast. Do I need to do an engagement shoot? Should you have one? Maybe. 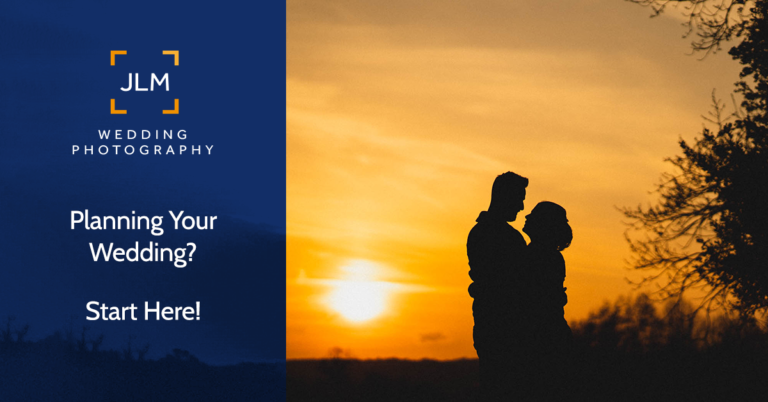 It will give you chance to get to know your photographer better, but to be honest the only reason you should seriously consider booking an engagement photo shoot is if you really want some photos of you taking before the wedding. Does it matter whether the wedding photographer is full or part time? Full time wedding photographers will tell you that it matters. They will tell you that part time wedding photographers won’t take your wedding seriously because it isn’t their proper job. They will also use derogatory terms like ‘weekend warriors’. What your photographer does when not photographing weddings should be of no concern. Arguably, someone who works a full time job as well as photographing weddings on a weekend could run the risk of burning themselves out. On the other side of the coin, someone who’s livelihood depends on their wedding photography business has more potential to go out of business since they don’t have a stable 9-5 job to pay the bills. My best advise here is to get to know them a little before making your decision. Hopefully after a chat you’ll be able to suss whether they are serious about their wedding photography business. Should I tell my guests not to take their own photos at the wedding? You can try, but they will anyway. You will always get the odd guest who gets a little carried away, commando rolling down the aisle to get a shot of the first kiss. Just remember these are your friends and/or family members, it is their job to be embarrassing. You might want to ask the officiant to remind guests that they are there to enjoy your wedding ceremony and that you have hired a photographer to capture the day. That often helps. Outside of the ceremony I don’t think it matters too much. 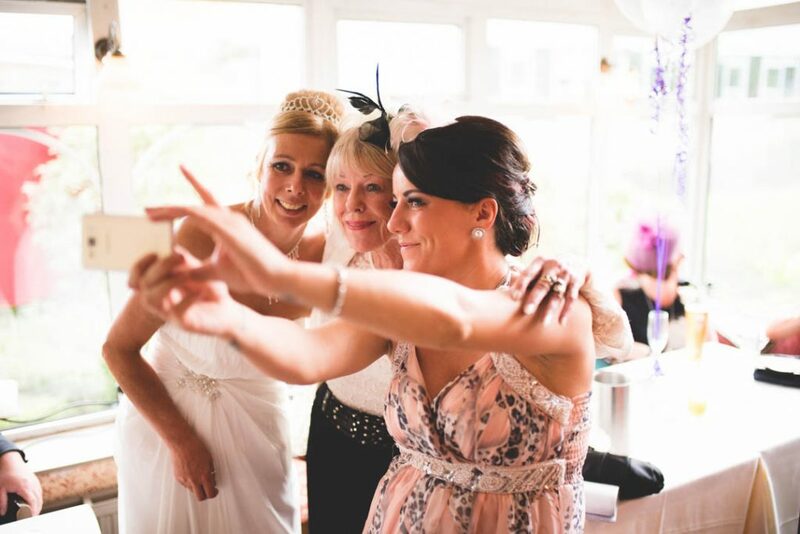 A decent and assertive photographer can handle overenthusiastic camera wielding guests. There is nothing anyone can do to stop a selfie. 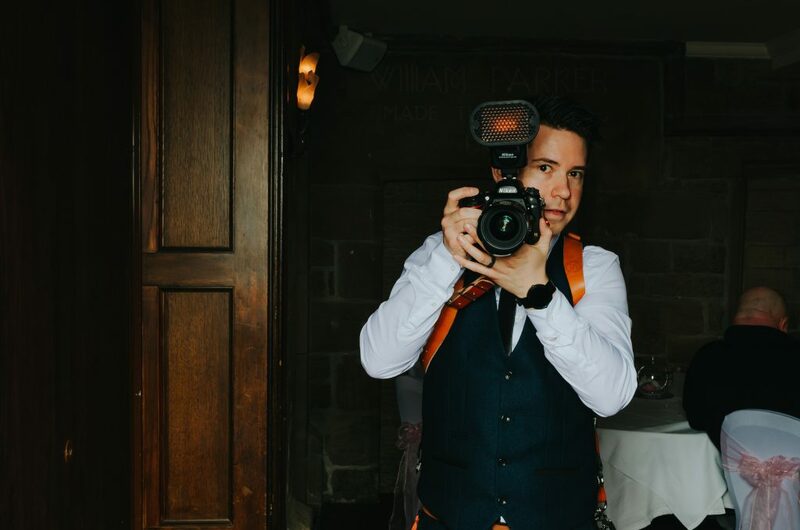 If you are serious about telling guests to leave their cameras in their pockets have a look at my thoughts on Unplugged Weddings. How can I tell a good photographer from a bad one? Not just the ones they show front and centre, delve into their blog and scour their Facebook page. You should be able to spot a really bad photographer straight away. What you are looking for is consistency across all of their photos. Beyond their ability to take consistently high quality photos, a ‘good’ wedding photographer will be able to handle the pressure of the day and deliver when it really matters. You can only really judge that by their past performance which is why it is so important to look at photos from previous weddings. If they keep regular blogs (like I do) then work your way through those. You can also request access to one of their client galleries to see the entire collection of photos from a wedding day. Beyond the photos, look at their reviews on their Facebook page and on Google. If enough of their previous customers have rated them highly that should be a good guide. Will my wedding photographer take photos of me in my knickers when I’m getting ready? Admittedly this question is not asked quite so often, though I’m sure it crosses people’s minds when they arrange for a photographer to take photos during bridal prep. This is where trust comes into the equation and is exactly why you should get to know your photographer as a person before the wedding day. Generally speaking I would hope the answer is no. As a gentleman who respects a lady’s right to dress unobserved I will always step out of the room whilst the dress goes on, so no knicker photos from me. 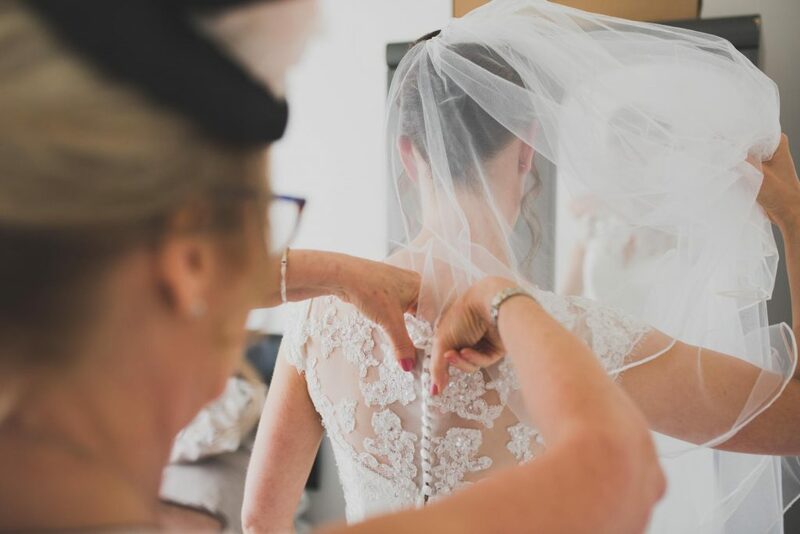 I do ask that I be invited back into the room once the delicate parts are covered up so that I can get photos of the bridal party helping to fasten up the dress as these can be some of the most naturally beautiful moments in the process of getting the bride ready for her wedding. If you have booked a lady wedding photographer then you may feel happy for her to remain in the room during the knicker stage, though I imagine they would practice the same restraint when it comes to taking photos of said knickers. Don’t worry about it though, any experienced wedding photographer will be able to carry on without missing a beat. Group photos might have to happen indoors so that your guests don’t get soaked. If it carries on raining in the evening maybe you could sneak out for a few romantic ‘in the rain’ photos, make the best of the situation. Should my Wedding Photographer be DBS Checked? There is no legal requirement for a wedding photographer to have been DBS cleared. This only applies to professionals who will be left in charge of children and vulnerable people. Since parents and guardians will be present at your wedding there is no need for such a formality. As a side-note, self employed professionals are not able to put themselves forward for DBS checking. It would need to be done by either an employer or someone looking to contract the photographer. Just take the same precautions that you always would when hiring someone who will be around your family. Are two photographers better than one? Many photographers actually work in teams, or bring along a second shooter. This is usually more appropriate at larger weddings where one photographer may struggle to cover the whole event. There are obvious advantages to having two photographers cover your wedding. At the same time many great photographers work alone and do a spectacular job, so there is no clear answer here I’m afraid. Which leads me nicely onto…. The following questions are perfectly valid, but there is no right answer that covers everyone. These are questions you need to ask specific photographers since everyone’s answer will be different. What I just said will make sense once you see them. How quickly should I expect my wedding photos back after the wedding? Will I get an album or prints with my wedding photography package? Are travel expenses included with my wedding photography package? How early will the photographer arrive on my wedding day? How late will the photographer stay in the evening? These questions should all be answered in your photographer’s contract or at your timeline planning meeting. If not, ask. I spent quite a lot of time trawling the internet looking for common questions about wedding photographers. If I left your question unanswered let me know, I would be happy to update this document over time to include more information. Either way, I hope this helps you out. If you read all this and still want to talk to me about being your wedding photographer take a mosey on over to my Contact page and drop me a note.